Over the next few days, I will share my Top 5 tips as a new rare disease parent. I’m sorry that you have an interest in reading this; it probably means that you are now in a club no one would ever wish for a membership to – let alone a life long one. But rest assured that you can do this, and you will. Your child will be blessed by you, and you will be blessed in ways you never imagined possible. I hope that these tips can help in the journey ahead, and I hope that you know that you are not alone in this journey. TIP #1. Find your people. You are not in this alone, and even if you would prefer to be in it alone, you and your child need to find those who are also in this boat. Why? Because rare disease isn’t well chartered most of the time, and those who have started this journey before you have insights that aren’t documented on the NIH website. (This website is an amazing resource by the way). 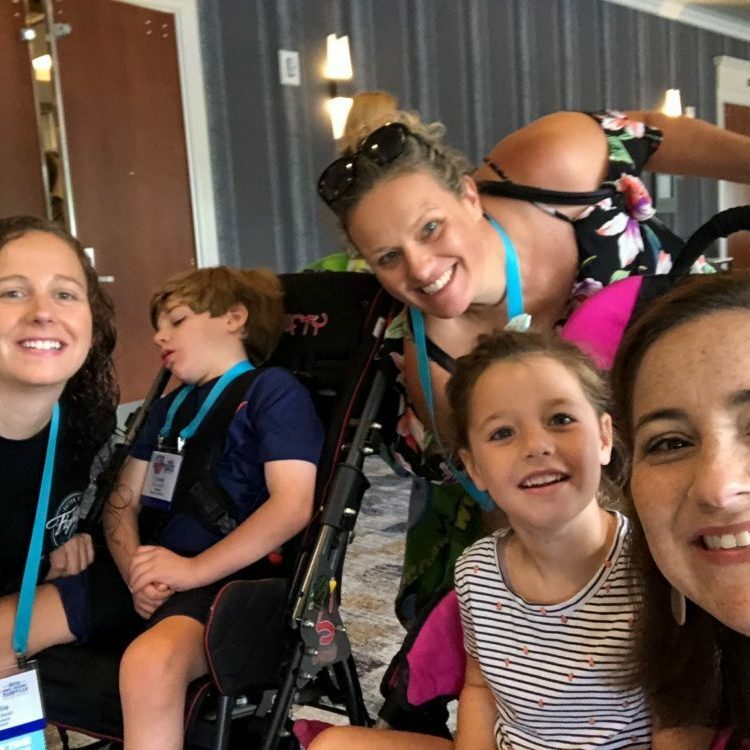 You need to find other parents and families facing the same rare disease challenges as you, and you need to connect with them. Use Facebook, Twitter, Global Genes, NORD, you name it, to find the family foundations for your rare disease, and to find the groups that share your concerns. Are you looking to learn what possible treatments or research is out there for your disease? Are you going to pursue finding a treatment if there isn’t one available yet? Before you decide, find out what is already in progress – often times family foundations have been established, and you don’t need to recreate this effort. Google search variants of your disease and don’t stop at the first page of results. You may not need to start from scratch, and often just finding the right people and starting to partner can save you a lot of time, money and anxiety. Be bold – if you don’t reach out and ask, they can’t help you. If an organization for your child’s rare disease hasn’t been started, or research hasn’t begun, build your posse and start it yourself. Family foundations are at the heart of rare disease progress, and they move the needle and drive outcomes for rare disease. Leverage the bigger organizations to help you (like BDSRA in my case) believe me, they want to help. Once you find others who have been through this journey, talk to other moms and dads. Ask about clinical trials and possibilities. Ask about technology and research. Ask about drooling. Ask about tremors. Ask about rashes, and wheelchairs and special needs schooling resources, and medications, and every other question you have that you never wanted to be asking. Ask the newly diagnosed – onsets vary and when you think something seems off ask those who may be seeing it too. Ask the most advanced in the disease – they have suffered, and learned, and they are usually so grateful to have that help another child. Whatever you do, once you get a few months in and start learning the ropes and collecting experiences, pay it forward. When you get the call from a parent completely overwhelmed by this unplanned change in the course of their lives, pause and help. Remember this time, and how you started. You have been drafted into the most challenging and rewarding service team in the world as a rare parent, and you have gifts to give and a responsibility to serve. The good news is (and I believe this 100%) that you can and you will do what is needed to care for your child. The better news is, you are not alone in the journey, and you have the power to make a difference. ← Southlake Carroll Dragons for Hope – Happy Birthday Jojo!